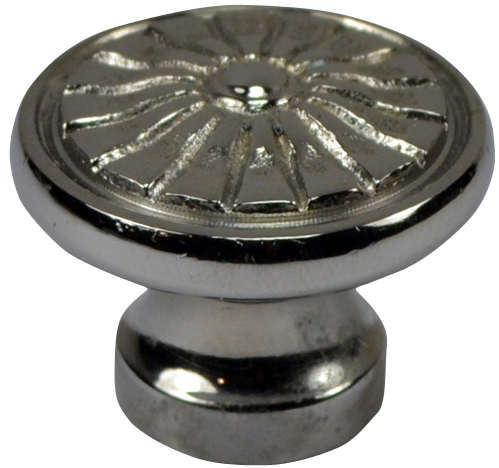 1 1/3 Inch Solid Brass Vintage Art Deco Fan Knob (Polished Chrome Finish)- Measures approximately 1 1/3 inches in diameter with a projection just over 1 inch. Comes complete with the mounting hardware. Made from solid Brass.